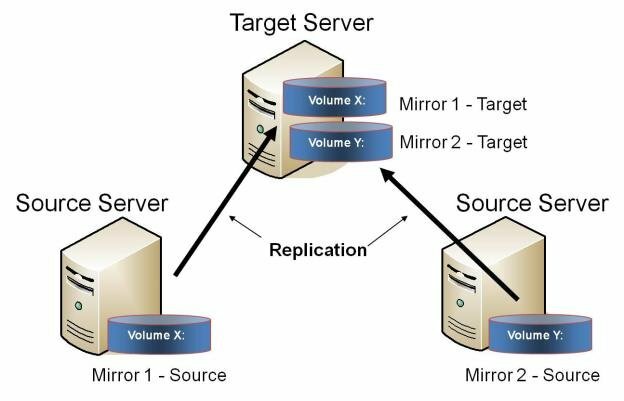 This configuration involves multiple source servers replicating one (or more) volumes to the same target system. In this configuration, each volume being replicated to the target server must have a unique drive letter. Note: This is actually two One-to-One mirrors. Users may wish to replicate multiple branches back to a single data center for backup consolidation and disaster recovery purposes.